If anyone is in any doubt about the situation in Bosnia regarding stray dogs, then here is the story of little Lajla (“Layla” in English), who died last night. One of the many freelance animal welfare volunteers was contacted a few days ago about an area of Sarajevo where stray dogs were being stoned, beaten using metal bars. A few times people heard gunshot. 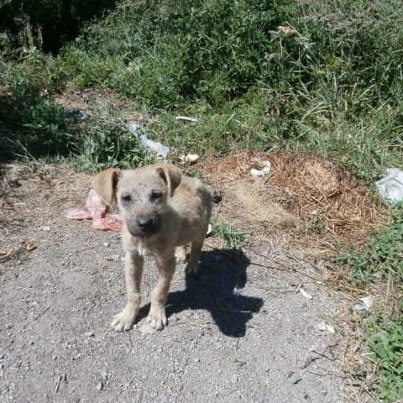 The volunteer went with others to the area and the dogs had disappeared except for this little puppy who was hiding near abandoned houses. They managed to catch her. They named the puppy Layla. Layla was terrified, extremely thin and could hardly walk. She refused to eat or drink – they tried everything. She was either dehydrated or her bowels had ceased to function through lack of food. The dog was refused veterinary help as the volunteers did not have money to pay immediately. The dog was taken to one of the volunteer’s homes, and the following day she ate a few pieces of meat and drank a little water but she could still barely walk. And then she began to cry and didn’t stop. People started to rally on Facebook, trying to find funds to take Layla to the vet. But she could not hold on any longer, she died last night. If you would like to be an ’emergency’ relief person who can be contacted if a similar situation arises, providing funds for a veterinary examination and immediate care, please contact me. The cost of a basic examination and some immediate care is anything from 10 – 100 Euros. For Layla, may you rest in peace. 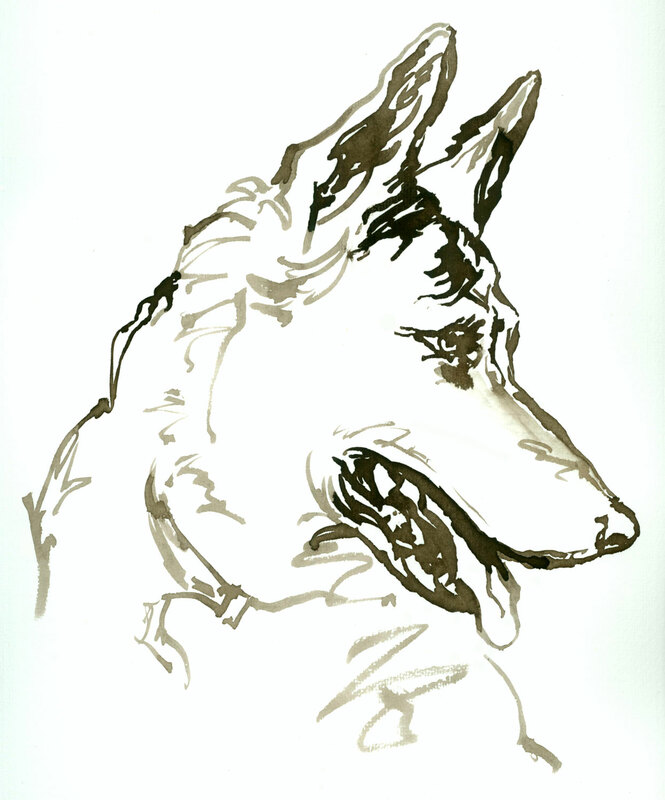 This entry was posted in In Memory and tagged Layla by Sandra Jensen. Bookmark the permalink. I cannot click the ‘like’ button, I hate it, the abuse + evil treatment of the helpless…God help them all…. the vet refused to treat her????? are you serious! why is he a vet, he is supposed to love and care for animals. damn him to hell! and all of the people who hurt this precious baby. Why dont people understand animals are gods creation and one day there will be a judgemnt day for all of us. I hope all these cruel evil people go to hell where they belong. and I hope their hell comes soon. especially that stupid vetinarian, he is the most evil. I can feel myself crying now,inside & out. I dont get it–what has made these people so unfeeling. Maybe they could only spare some garbage scraps to feed the dogs, or maybe nothing–but why do they have to hurt them? Do theyb think God does not see? Remember the story of Lazarus the beggar and the rich man, what happened in Heaven? God sees all. They will pay for what they do and for what theyb do not do. I cry the cry of shame and anguish knowing that I did nothing to help that little girl. I hope I can be forgiven. God bless you dear ” Layla” and may you rest in peace. It is as if I have lost one of my own which makes it even worse for me. Thank you to the people who extended love and compassion toward Layla. My heart aches for the animals and people who are suffering. I’ve taken in my share of homeless, sick animals over the years, spay/neuter them, shots, found good homes for them. I now live on a very tight budget and am feeding and caring for my 2 kitties, and live in an apt. on the 4th floor. I don’t get out as I’m using oxygen and have a compromised immune system and no capacity to do work. I’ll be praying for you and the efforts you’re putting into helping the innocent animals. Should my budget allow for a donation to you I’ll be glad to help. I wish I could save every animal and person and since I’m unable to do so, I pray and ask God’s mercy and compassion on the whole world. Blessings to you and the work you do. It makes me so ill to see these stories. I do not understand why the majority of people who are moved by this are barely able to sustain themselves, if at all. Why do these stories not touch the hearts of the affluent who ARE in a position to help? I guess it is because those that have nothing have already given it all away, and those that have so much plan on holding on to it, There must be a way to touch the hearts of the local affluent people in all these cities, and towns were the suffering goes on. Or at least there mmust be a way to stop the ABUSE! lgcatwoman19, I share your feelings. But people have donated, which I’m so grateful for. Yes, it’s nearly always people who have no or little money who donate.. but you know even 1 dollar or 1 euro makes a difference. Nearly 200, 000 people signed a petition about Vucko.. if each one of those donated just one dollar.. what a difference could be made. Let us vow to help them NOW!